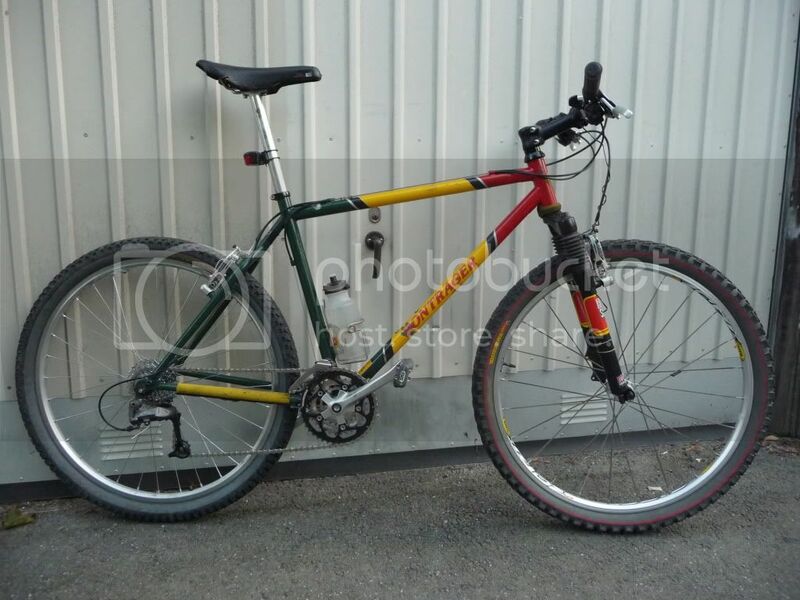 Bontrager Privateer Comp 1998, Now Single Speed! 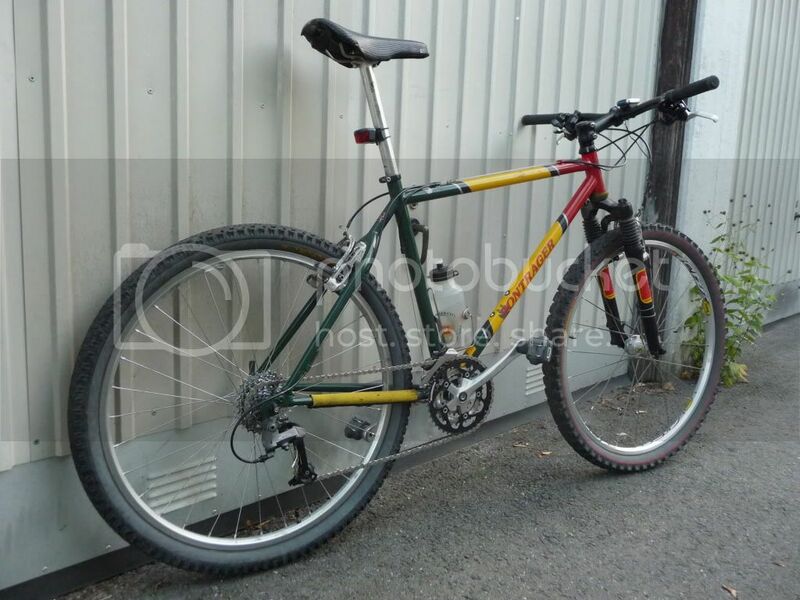 Post subject: Bontrager Privateer Comp 1998, Now Single Speed! It´s the penultimate year Privateers were made, and alas, the last of the Bontrager bikes. 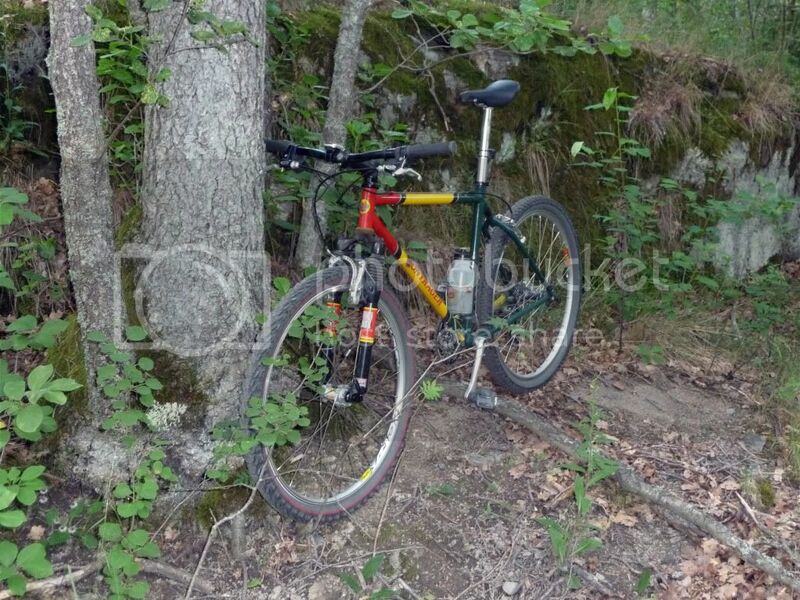 I bought it new and it´s a great bike on the trail. I don´t really know how much it´s downgraded from the "Race" frame but I´ve always found it a sweet ride. Last edited by bonty98 on Thu Aug 08, 2013 9:41 pm, edited 10 times in total. Here are the pix, as they wouldn´t go in the first post. Last edited by bonty98 on Sun Mar 21, 2010 4:11 pm, edited 1 time in total. Nice ride. Let's see that Trek also. I had a gray 970 which came stock with some 3D purple stufff. Give it to my cousin some time ago...kind of miss it now. Well, maybe I´ll take a few pics. I don´t really ride it much even though it´s a nice bike. The 970 has an even lighter frame iirc. Great bike, always wanted one of these BITD. very nice. love the colours and the look of that. I too had a Trek 970, and miss it quite a bit. I think the 930 did have a slightly heavier frame - true temper OXII rather than OXIII or something - and IIRC was a lovely satin light greenish blue. Nice. Are these the original colours? Looks great. Yes it is original in color and all else except some bits. I really dig it and it rides great. And it looks good with the team jersey of the same colorscheme. I´ve now gotten a Race Lite frame that will come to life over the winter. Love the Build, can't wait to get my hands on my new (old) Bonty and build it up!